Couple of good looking, interesting and large books. 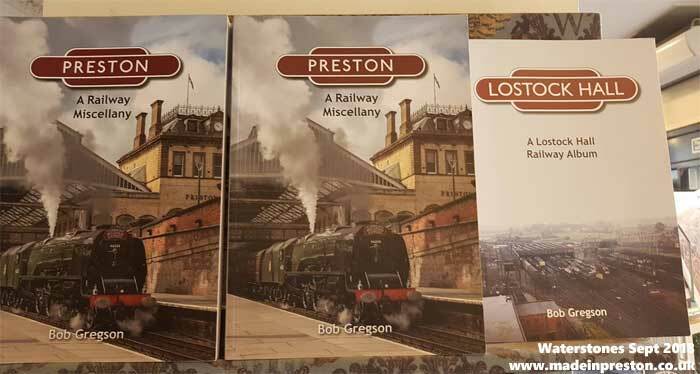 Preston, A Railway Miscellany, and Lostock Hall Railway Album by Bob Gregson. Plenty of photographs in these. Photo taken in Waterstones Sept 18. Scenes from the Past 6, The Railways Around Preston by Gordon Biddle, Foxline Publishing, Stockport, 1989. 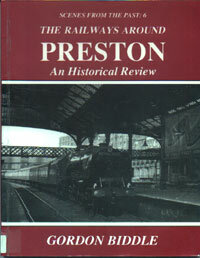 Good account of the Preston area complete with a map of the tracks. A picture of the station train timetable of 1947. A chapter on the station workings during the 1922 guild. Provides a good perspective of the development of the railway from the Old Tram Road, the stations built by each of the rival rail companies in the mid 1800's, to the eventual completion of the main London to Glasgow main line. The period of growth being stopped and then the period of closure beginning in the mid 1900's. Winckley Publishing, Preston, 1991. ISBN 0-907769-13-6. This book is a typical Foxline edition, a paperback, approximately A4 size, glossy paper, a lot of photo's with interesting comment in between. Paperback, about 8 inches square. Easy to read with sketches and photo's. Describes, simply, the people who drove the idea of building the railway and the financial and engineering difficulties. Also stories about the route and its development with the link to Lytham from Kirkham and then on to Blackpool from Lytham and the later spur from Poulton Le Fylde. Story about the accident on the sharp bend at Poulton Le Fylde. 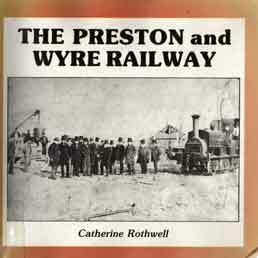 The railways main sponsor, Sir Peter Hesketh-Fleetwood, also started the town of Fleetwood and the book describes the financial difficulties he suffered because of the railway.